On Wednesday 31st May 2017 Pinner again hosted one of the oldest street fairs in the country. Roads were shut and buses diverted from the evening before to accommodate the many colourful fairground attractions that made up the 682nd Pinner Fair. 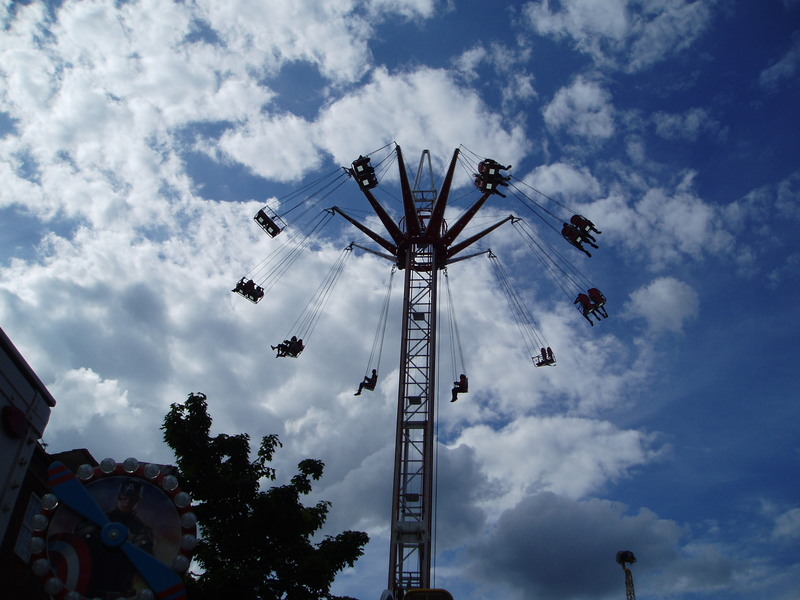 There were large rides and attractions all along Bridge Street, in the upper High Street and part of Marsh Road. People from all over the area were in Pinner and were having a great time. 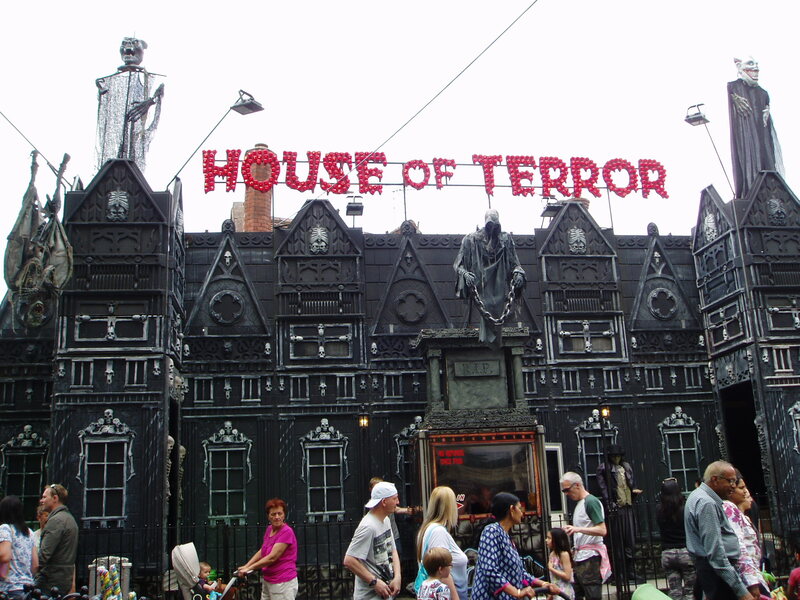 A not so desirable large detached house in Pinner? The cloudy weather did not keep the crowds away. Some intrepid fair-goers braved the heights and must have had a great view! 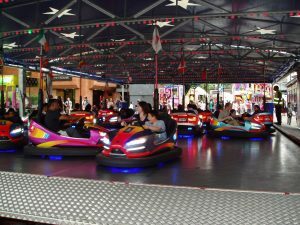 The dodgem cars in Marsh Road displayed the style of driving of that hopefully we do not usually see in that road. No mirror, signal , manoeuvre here! 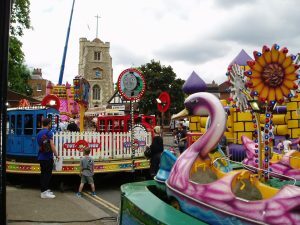 Pinner Fair is organised by the Showmen’s Guild in liaison with Harrow Council, to which they pay a large fee to cover the road closures, removal and replacement of street furniture and the street cleaning after the Fair has been packed away on Wednesday evening. It is amazing that all the huge rides and attractions are folded up and driven off overnight, leaving Pinner to become the quiet suburb that we all love for another year. 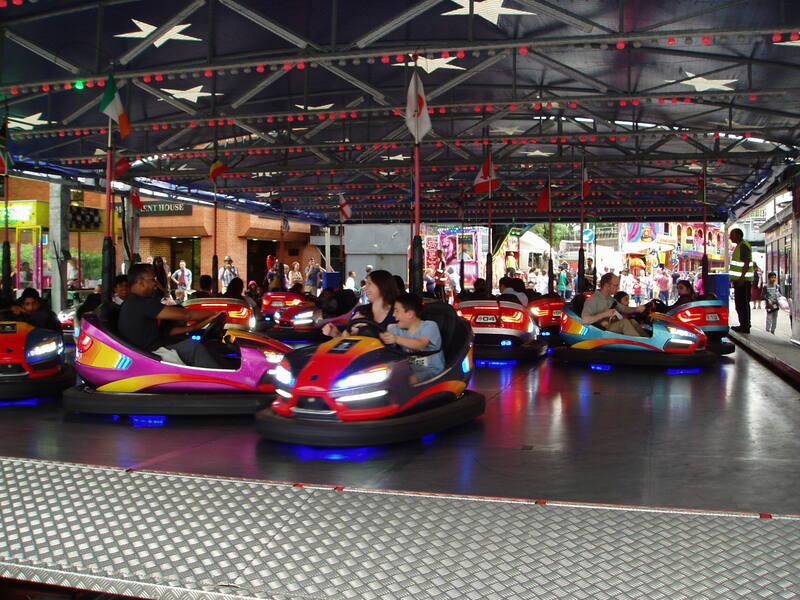 Pinner certainly would not be the same place without its annual Fair.